This is such a huge achievement that I have to share it with the world! I lived for 6 years with just a hope of seeing my 6 years old child sleep through the night. Before the sleeping program, I never slept a single night without waking up every 2 hours by my child’s request of water, food or company. Of course I had to ask for help of my mom and aunts, but for them it was also a sleepless night. One of the first things I learned with the program is that it was all about habits, really bad habits, I had helped him to acquire through the years, making me, the water and the 4am snack the most important thing he needed to sleep. With determination I started this challenge… I did not break any rule and achieved every goal for every day. He adapted to the sleeping routine very easily and mastered the art of falling asleep without props. We continue working on his waking time and don’t have any doubt he will finally get that 7am start of his day. I can only thank Melissa for her support during this challenge, her coaching through the weeks was perfect and the program is superb for those parents who don’t see the light in the dark, sleepless tunnel. I am a happy mom who enjoys a good night sleep while knowing my child is sleeping too! Muchas Gracias! Liam had a lot of difficulty falling asleep, often taking hours past the time we put him to bed. He also would get up at least once a night, and wake up very early. In the mornings after a bad night, he would have issues getting ready for school or doing simple tasks without a meltdown. Now, Liam falls asleep very soon after putting him to bed, rarely having issues falling asleep. He sleeps through the night, and even if he does wake up early, he rests in his bedroom until an appropriate hour. Liam sleeps almost 12 hours a night, and is a lot less irritable. He seems more level headed and I believe it is because he’s well rested. I like the fact that with just a few small changes to our routine, and items in Liam’s room, we saw a big change. I also like that Melissa would check in regularly to see how Liam was doing, and suggested resolutions to any issues that arose as we worked through the program. I have referred Melissa before, and I would suggest other families to look into sleeping programs for their children. A short consultation really helped our daily lives. It’s amazing that we see how much better Liam feels with a good nights sleep, and I and my partner are feeling better getting a good night sleep as well! My son Sid is 9 yrs old. His sleep was always messed up since he was baby. He couldn’t sleep more then 4-5 hrs during night. So our days were tiring, we were zombies. Hardly functional, we tried everything (no nap in the afternoon, melatonin,..Etc) but couldn’t get him sleep more then 4-5 hrs. He used to sleep very late in the night by midnight or 1am and then wake up fresh at 5am, ready to play. We consulted Ms. Melissa for this and she suggested something which I thought was impossible! She told me to put him to bed very early, at 8pm and this is the evening for us! I was sure it was not going to work. But, I gave it a shot. To my surprise, the very first day he slept 8 hours without melatonin or any other sleep support. Since then, we are putting him early to bed and he is sleeping for a good 7-8 hours and that’s a blessing! She told us many more tips and tools for making him sleep independently and we are doing this in steps. He is happy and has no more frequent headaches during the day! Thanks to Ms. Melissa from the bottom of my heart! We had not expected that there would be any help for the sleep challenges with our baby boy, but we were pleasantly surprised. The sleep sense program is a very straight forward and easy to implement sleep routine which we adopted within a few weeks. To our and our children’s joy, it proved to be very effective and soon our baby (6 months at the time) was sleeping soundly and most days without waking up during the night. The sleep sense program saved our day, and we can highly recommend it. My baby had a completely reversed sleep schedule and we were completely drained at nights trying to soothe her. Now after the sleep training program she sleeps by herself without our help and sleeps all night.  I highly recommend parents have a sleep consultation to help their babies and themselves. Better sleep habits really make a difference, and all parents should consult to give their baby the best sleep routine. We sleep trained our daughter since she was young, so we thought we knew all about sleep training. At one year of age, while she was able to fall sleep at 7PM, she never really slept past 6:30AM. This was a drain on both myself and my husband. Then as she grew older, she started having major sleep regression and was waking up at 6AM, then 5:30AM and 4:30AM, and she even told us she wanted to sleep with us. This lasted for a few months and no matter what we did – let her cry it out, controlled crying, reward system, etc. – nothing worked. Both my husband and I were walking zombies during the day and I was depressed, exhausted and on the verge of a break down. So I decided to ask Melissa for help. On the first day of the Melissa’s sleep training, my husband basically rolled his eyes as I followed Melissa’s technique…. BUT IT WORKED! Three days later she became an angel again, sleeping from 7PM to 6:15AM. While Melissa told us it was possible to train our daughter to sleep past 7AM, we weren’t very hopeful but were happy with her waking up past 6AM instead of between 5:30 and 6AM. We continued to religiously follow the routine and guess what, one month later, she is sleeping 12 hours at night and doesn’t wake up until 7:10am. Sometimes she even sleeps later. Better yet, she used to be a light sleeper and would wake up to different sounds, but now she is a much deeper sleeper and is much less sensitive to sound and light. This has been life changing for all three of us. Not only do we get our life and health back, but we see major differences in our daughter – she starts gaining weight, her complexion is much healthier, she is much calmer and happier, and most importantly, she is improving everyday now she has enough sleep. Thank you so much Melissa. My husband and I can’t be more grateful for what you have done for our family! To read more about Emerson and his sleep story, please click here. Prior to sleep training we had ZERO nights in 6 weeks that he slept through the night with no wake ups. Post sleep training he sleeps through the night with no wake ups more than 50% of the time. At night, he is ready to go up and start his routine no later than 6:30. He also wakes up and plays in his crib in the mornings rather than screaming and crying. He’s all around been more pleasant. His naps are by far easier than night time but it will come! Sleep training was very difficult but what I like was that there was a sequence to follow and someone telling me what to do when and that his responses were “normal”. It is definitely worth having a sleep coach to consult with. I know if I didn’t have Melissa to help me through it I would have given up! Jack was born extremely prematurely and after developing hydrocephalus at 1 month old, needed a shunt. At a young age, Jack was diagnosed with severe cerebral palsy and parents were told he was blind and deaf. Before sleep training, Jack slept less than 6 hours a night — needing to be rocked, fed, and held to go to sleep. Parents were exhausted! Here’s what they had to say: “Jack had made big improvements! Now, he stops waking up every 2 hours and can be in his own bed. Everything is different and now we can sleep as well. Compared to before, my husband and I were like zombies. Sometimes, Jack would cry and cry all night. Now, the whole family is in bed at 8pm. Jack still takes some time to fall asleep and wakes once or twice, but it’s a big improvement! Now he is gaining weight, he eats more, and he is a happy baby. Isla was only sleeping 8 hours a night and would be fully awake by 5:30am. The whole family was exhausted! After sleep training, Isla got at least 11 hours of sleep at night without any wake-ups. Mom started to get over 8 hours of sleep a night herself!